When a person falls ill, their experience changes - sometimes in a very minor and transient way, sometimes in a decisive and lasting one. 'Diagnosis' is often seen as the process of scientifically and objectively identifying the causes of this subjective experience, but is the process and meaning of 'diagnosis' really as simple as this implies? 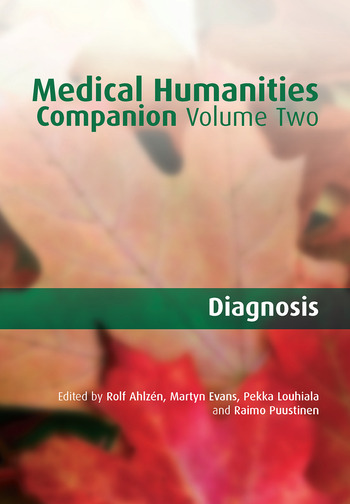 As this volume of The Medical Humanities Companion argues, diagnoses are an answer to complex human needs that spring from being ill, and are in turn a complex, culturally mediated interaction between individuals, scientific discoveries, social negotiation and historical change. This volume makes visible the complexities and ambiguities involved in giving and receiving diagnoses, and how they shape and are shaped by views on what is real and acceptable, and how people relate to the phenomena of illness. Preface. Narratives. Diagnosis – An introduction. Diagnosis – Telling and hearing. The dialogue of the clinical encounter. The double face of diagnosis. What do diagnoses mean and does it matter? Intimacy and distance in the clinical examination. The physician’s understanding of the patient’s bodily meaning. A diagnostic jungle? – Ambiguities in classification. Certainty.